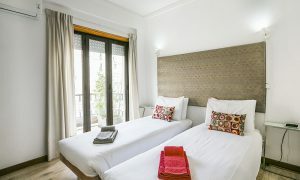 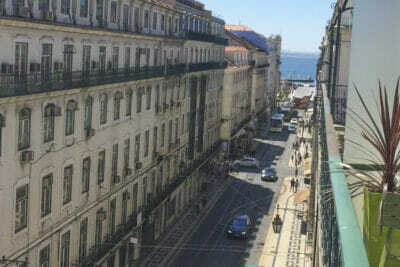 LV Premier Anjos Apartments AR2, Lisbon Terrace is a spacious 5 bedroom apartment with 3 bathrooms. 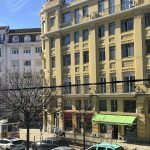 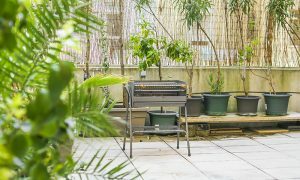 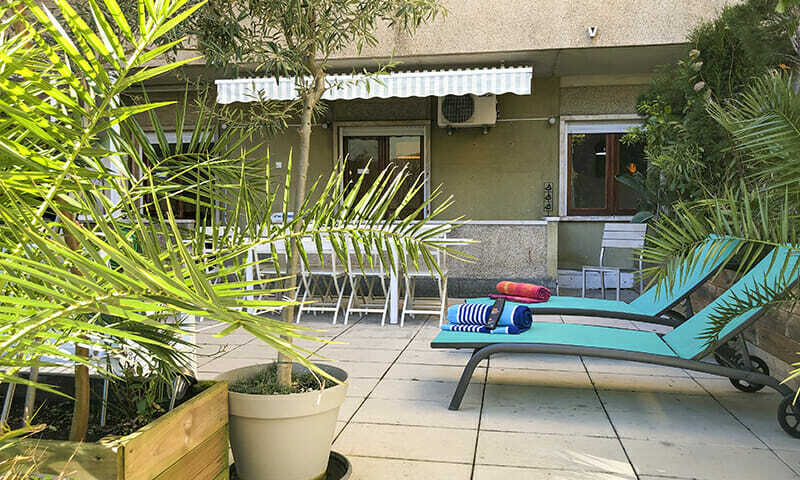 It occupies the 1st floor from this charming mid-century building and has a large terrace with a garden and deck. The building has 2 elevators. 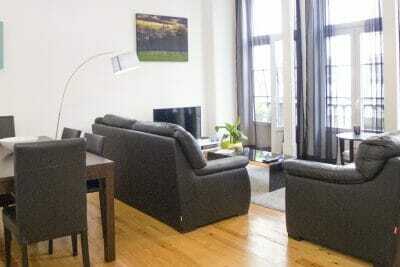 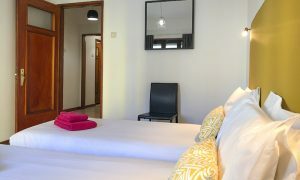 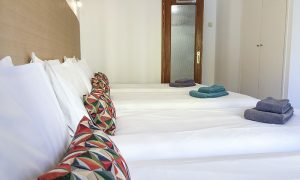 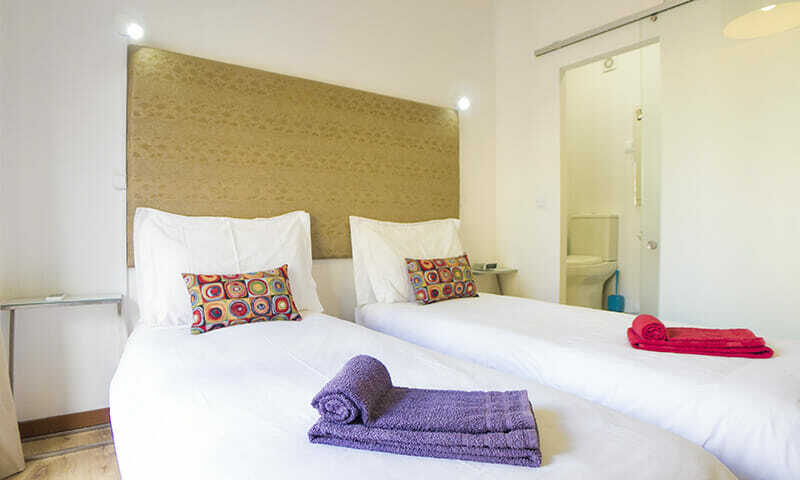 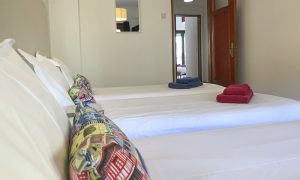 The apartment is equipped to a high standard, features AC and Heating. 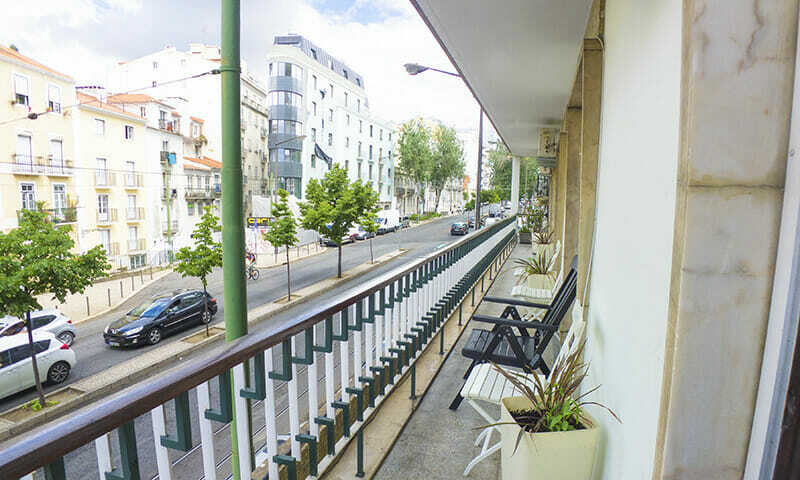 In addition to the terrace it has a long balcony facing the front of the building enabling you to enjoy the city live. 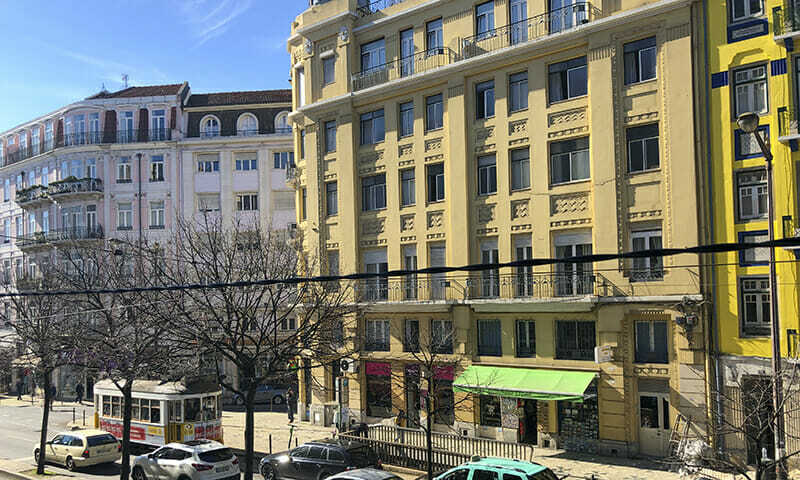 Intendente’s metro station is right in front of the building and buses, trams and taxis of course are a couple of minutes away. 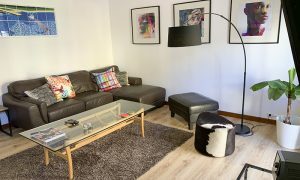 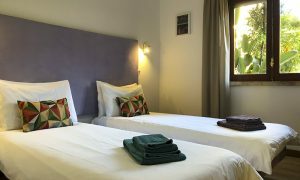 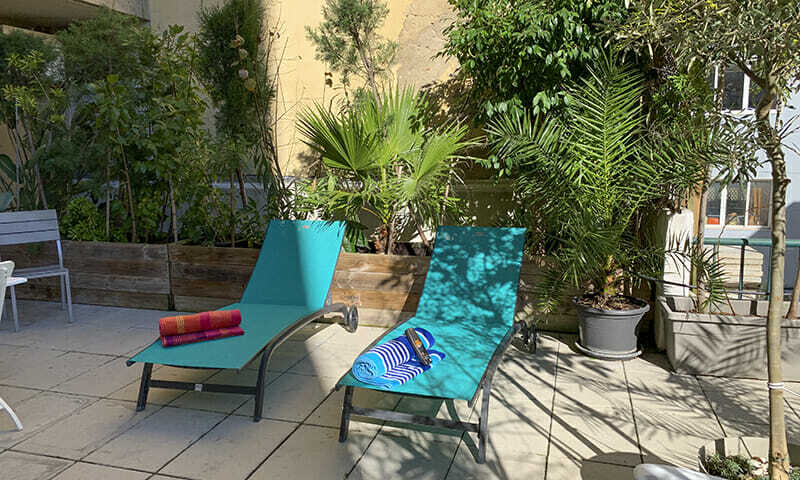 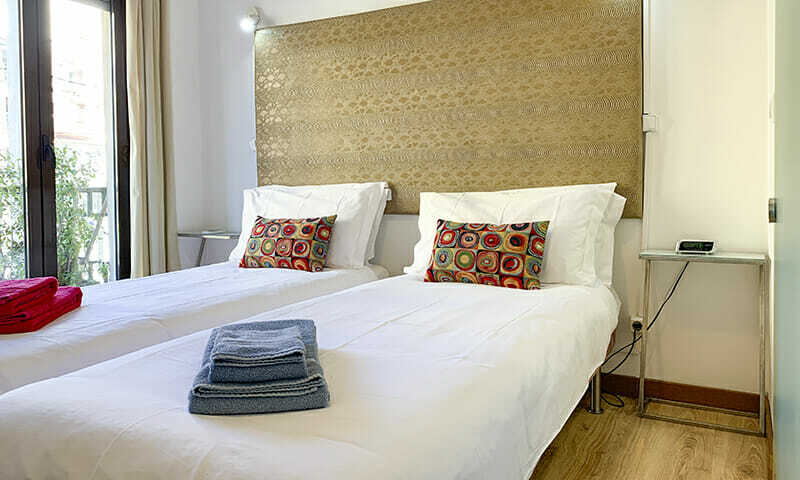 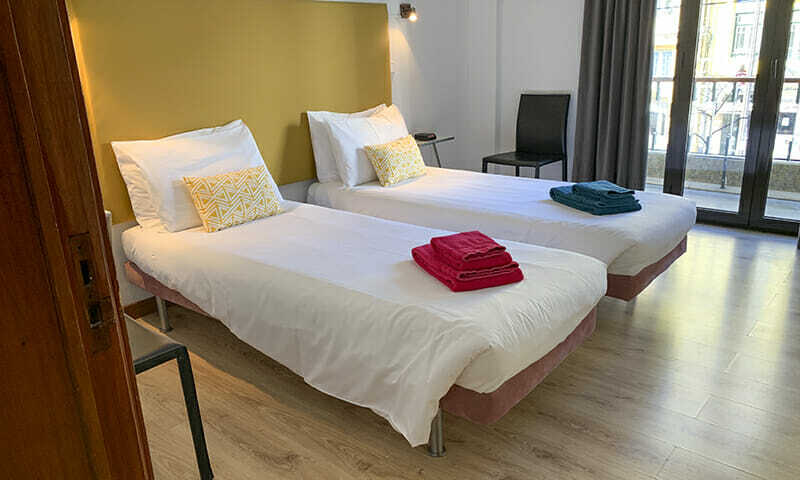 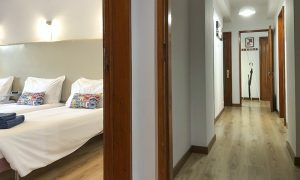 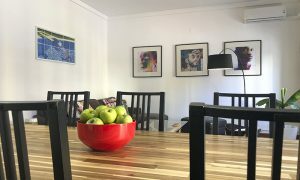 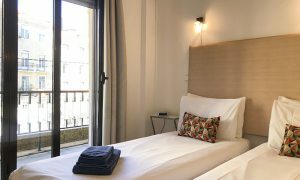 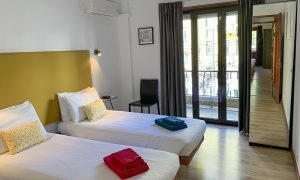 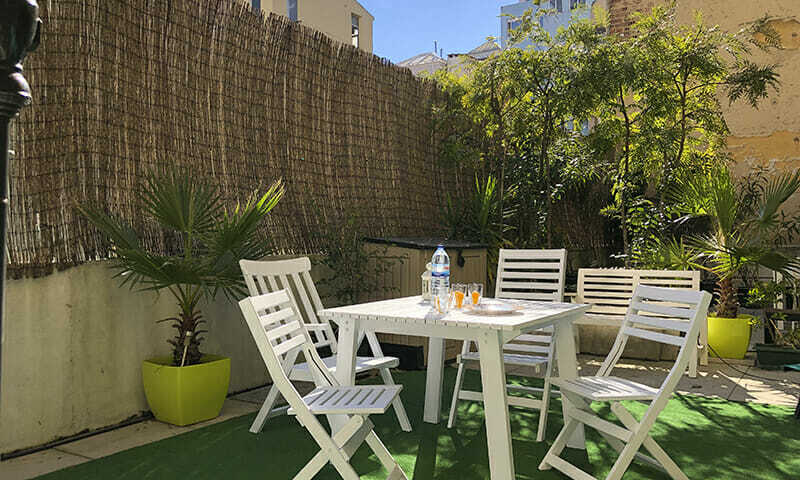 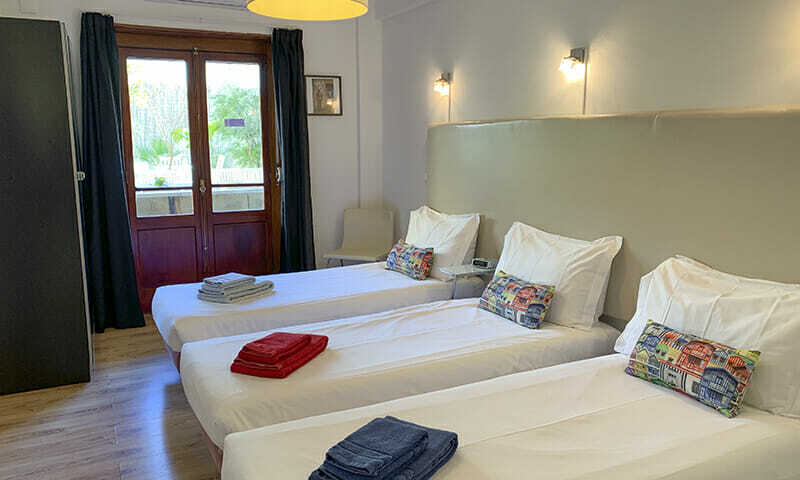 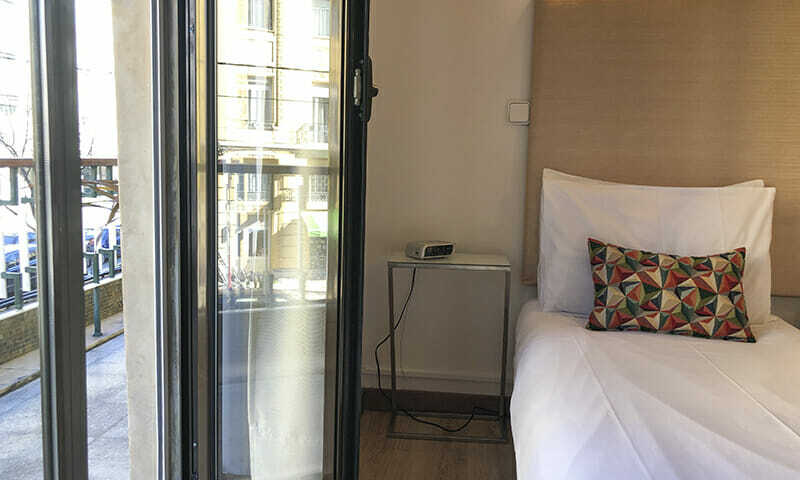 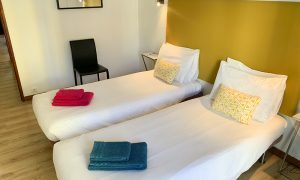 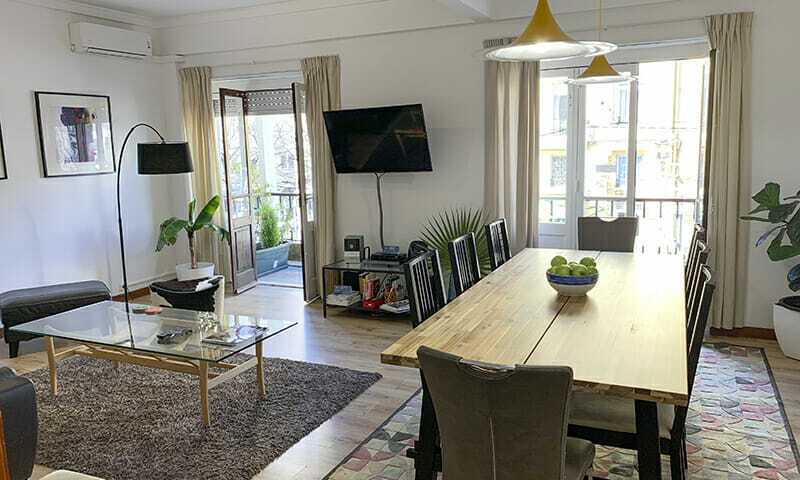 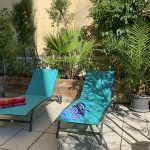 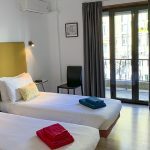 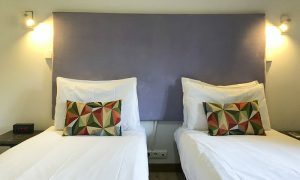 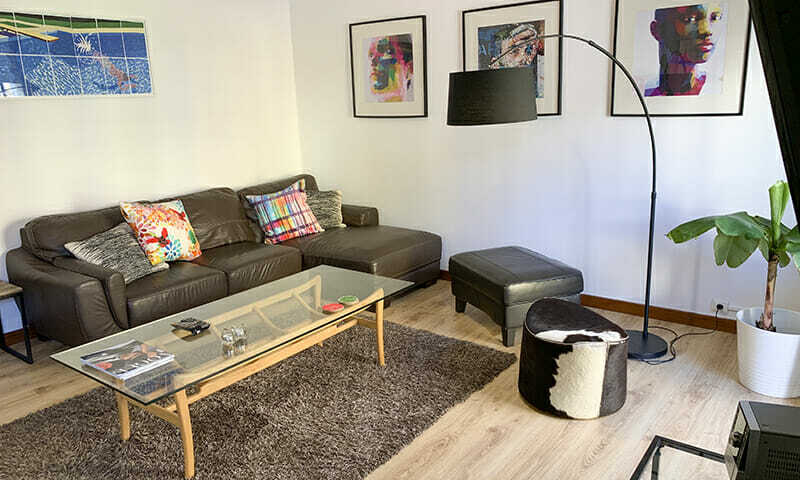 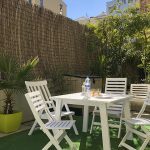 If you value comfort, modern amenities and city center living, this vacation rental apartment is the right spot for your Lisbon stay. 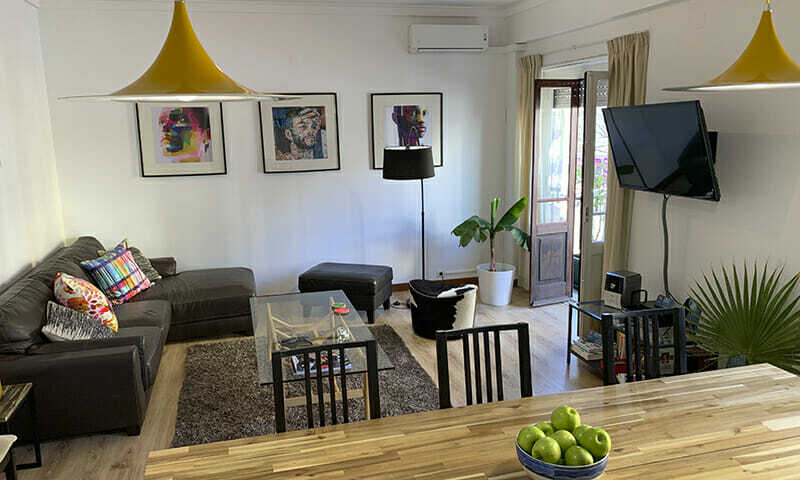 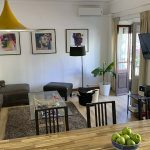 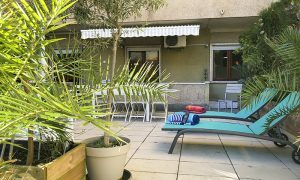 LV Premier Anjos Apartments AR2 Terrace is an vacation rental with a very spacious living area with 2 balcony access doors, a large dining table and a perfect sitting area with a large TV, free WIFI and more.  Lv Premier AR2 has 5 bedrooms – 3 doubles (with 2 single beds or 1 King size bed), one triple (with individual beds or one double/king and one single bed) and one quadruple bedroom. All bedrooms have easy access to the terrace or the balcony. 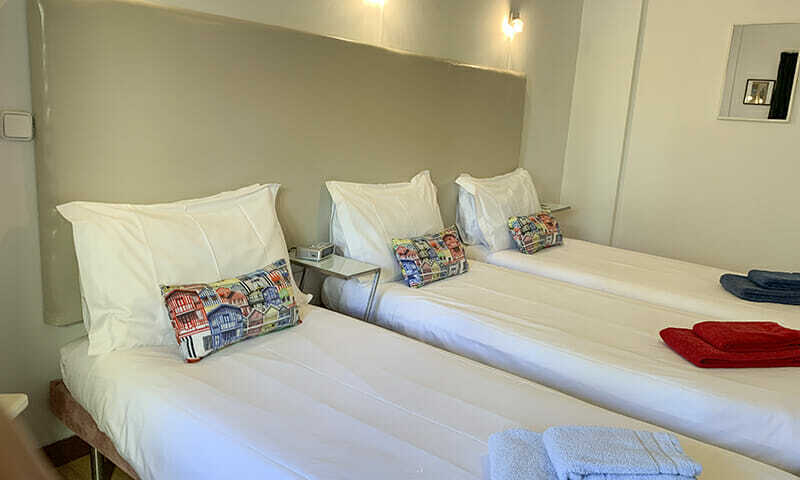 For large families and groups, there are 3 additional folding beds. Baby crib/cot is available on request. 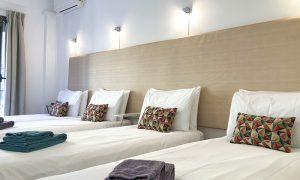 This apartment also features signature LV Premier beds – with crisp bed sheets, duvet/comforters, and new mattresses. 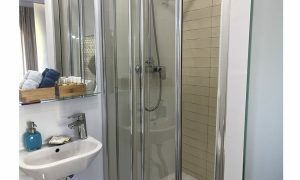 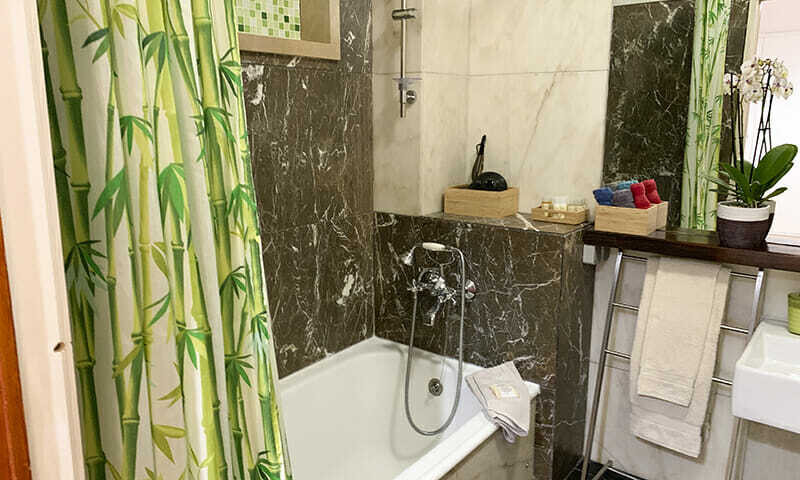 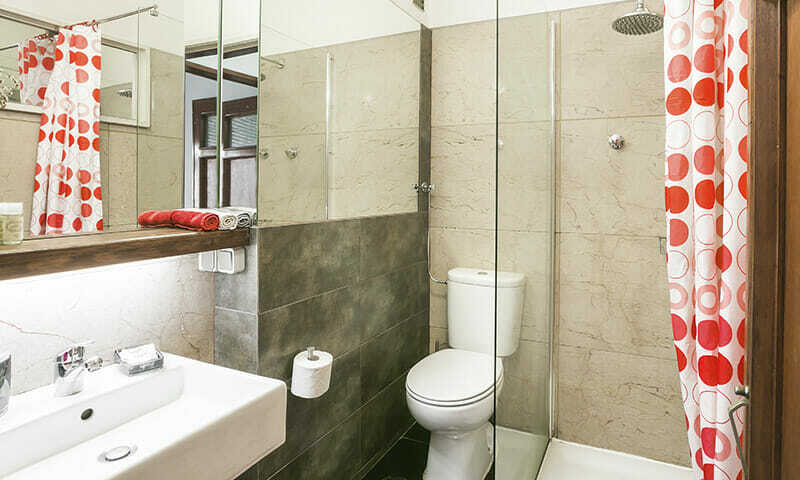 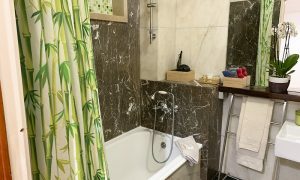 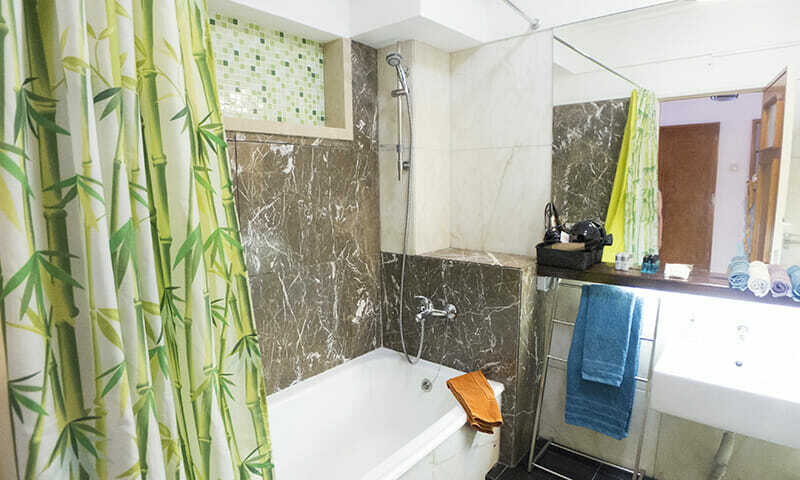 There are 3 bathrooms in the property – one with a bathtub and two with a shower enclosure. 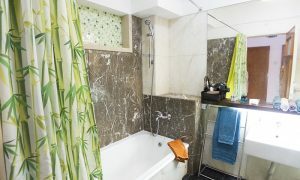 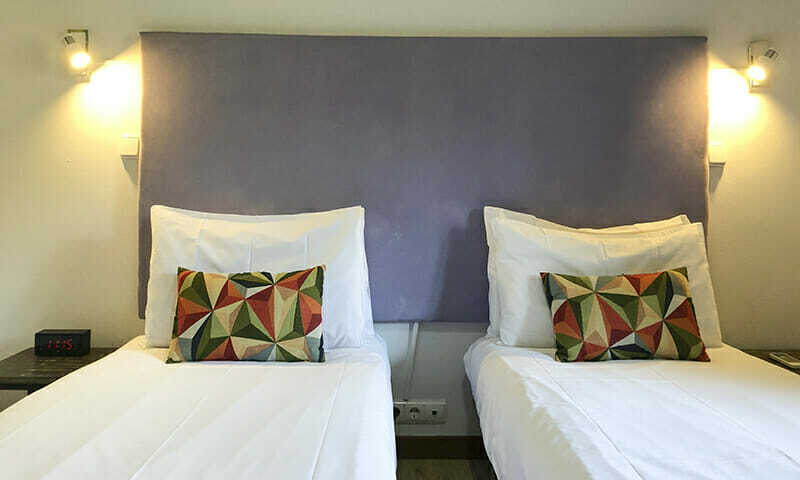 Soft and plush cotton towels are provided for your comfort – sure to make you feel relaxed and invigorate your vacation. 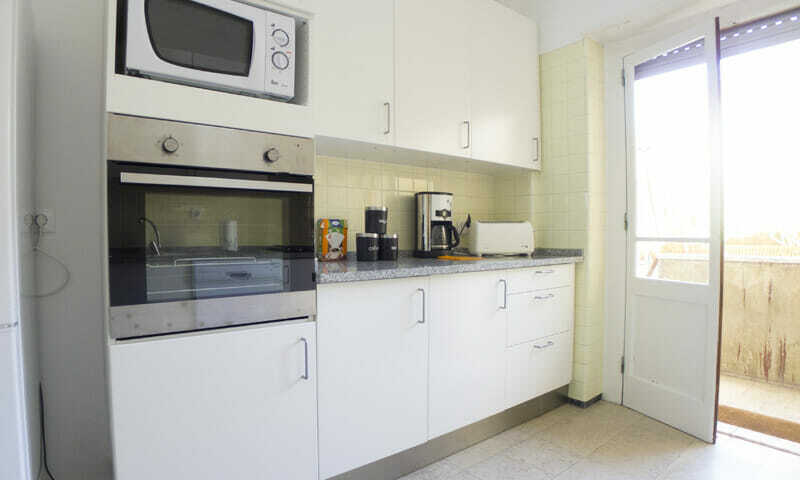 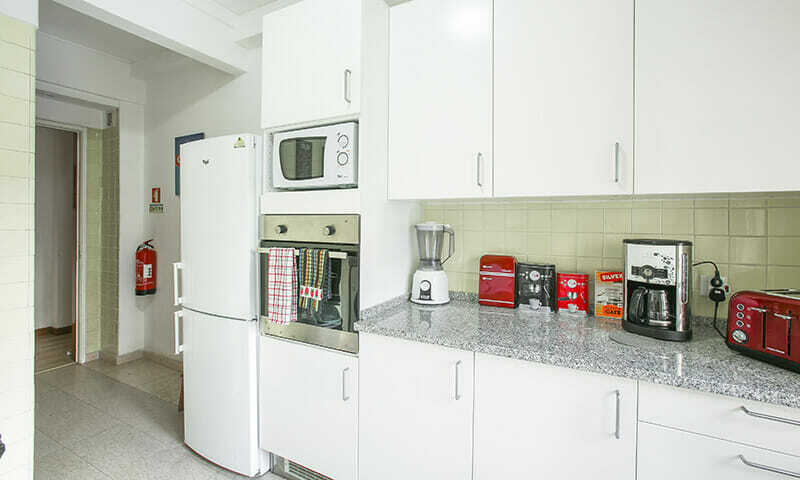 The apartment has a fully equipped and separate kitchen – with pots and pans, cutlery and china for up to 16. 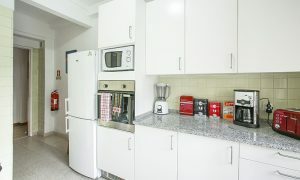 In addition to a food blender/processor, coffee maker, kettle etc. 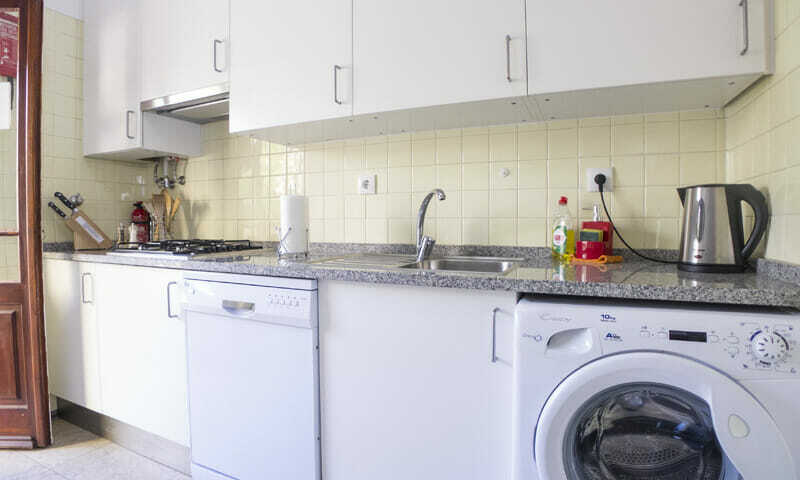 you will also find large appliances such as washing machines, tumble dryer etc. 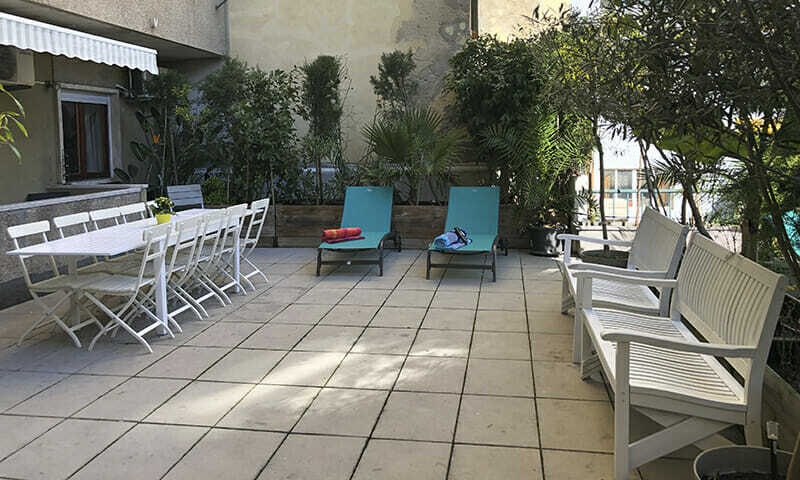 The large terrace is a unique feature this close to the city center. 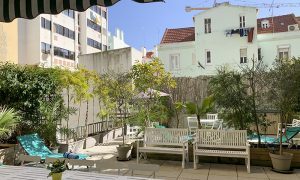 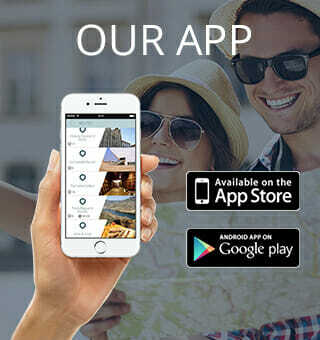 Perfect mix of city and true vacation feel for your Lisbon break. 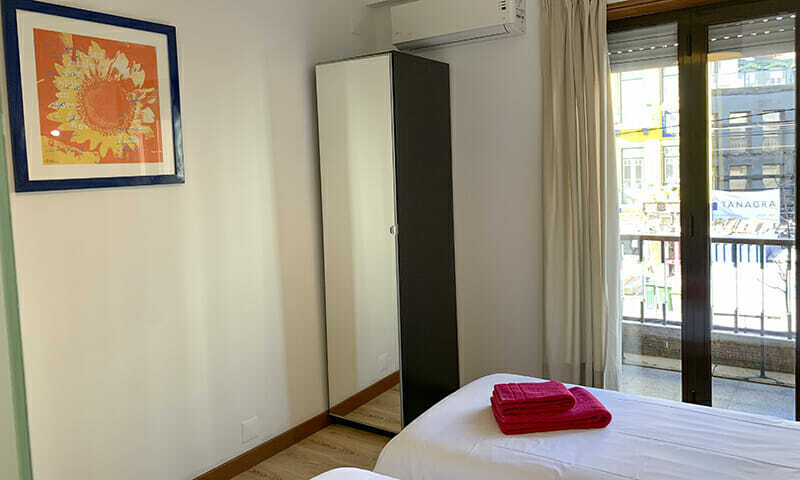 Apartment equipped with Heating and AC for your comfort. 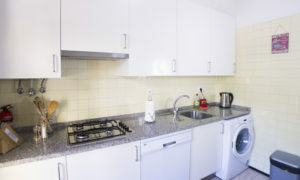 Dishwasher, washing machine, oven, microwave etc also available. 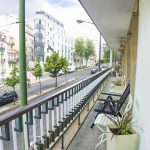 Anjos is a fantastic city district. Less than 12 min from both Praça da Figueira and the geographic center of town, and it borders the historic neighborhood of Graça and Alfama, making it perfect to discover the old town. 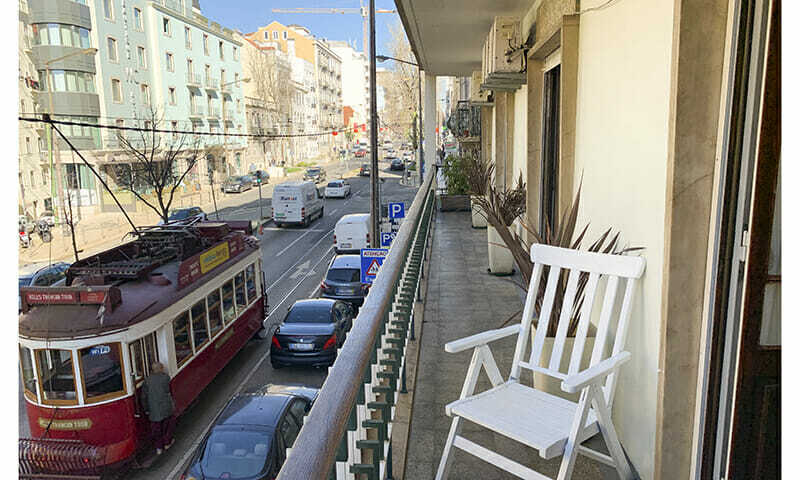 Here is a stop in front of the building for the famous nº 28 tram, which is a popular way to discover the city at relatively low cost. There are a number of well-known seafood restaurants (e.g. 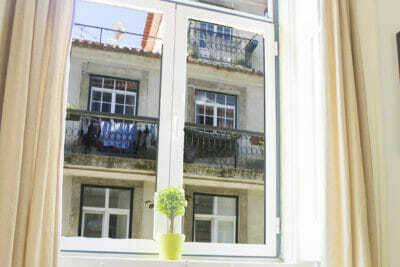 Ramiro) and a traditional market – Forno do Tijolo nearby with supermarkets and convenience stores. 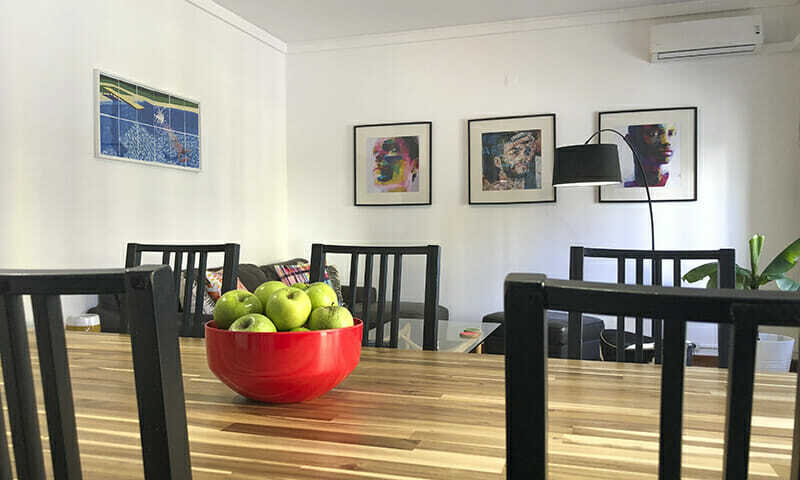 The area is evolving rapidly but still has a multicultural mix of eclectic and bohemian types, which blend easily with the traditional and established. The newly refurbished Praça do Intendente, has a number of interesting bars and restaurants and is now one of the centers of this neighborhood.